Hydraulic toe jacks are one of those universal tools whose value never really becomes apparent until you use one for the first time. When you are a heavy equipment mover, the simplicity of what this tool can do is more that surprising. It is inspiring. The best hydraulic toe jacks can perform a wide variety of jobs for you in a faster and safer way than a standard jack. Various toe heights are available, with some models starting at just 1 inch. Then you can expect a total capacity of up to 25 tons on the more advanced models that are available in our industry today. 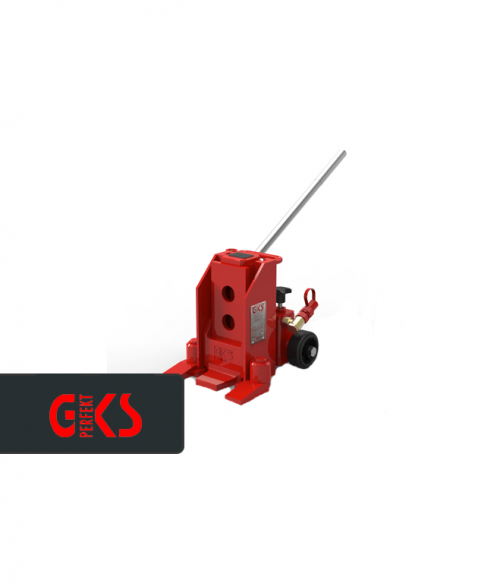 There are several applications which immediately benefit from the availability of a hydraulic toe jack. Transformer maintenance becomes much easier. Heavy hauling can be completed with greater efficiency and safety. Structural moving becomes simple thanks to the unique advantages of the self-contained or remote models. Hydraulic toe jacks are also useful for rigging. Each model features the lowest handle effort, allowing the operator to handle the equipment with relative ease. The lowest weights are also included with each design, reducing the opportunity for a back injury to develop. Look for high quality swivel sockets that allow for access within close quarters so you can work in virtually any environment. At Factory Equipment, we feature GKS hydraulic toe jacks within our inventory. Both forklift and universal jacks are available in this category. Look for the V number on each model to indicate its maximum weight load so you can quickly identify the product you need. GKS has been manufacturing excellent products since 1967 and is a name you can rely upon. Our team is also standing by to help you with any questions you may have. Together we can make sure that you find the best hydraulic toe jack to meet your needs.